Death is the most uniting trait that we all have in common. All who have lived, shall die. Winged skulls have been around as a symbol of death and mans mortality for centuries. Some see winged skulls as a symbol of how mans journey is not over after death, or the ascension into the afterlife. The symbol to me means to remember that death comes for us all. To live life fully because in the end, death will win. 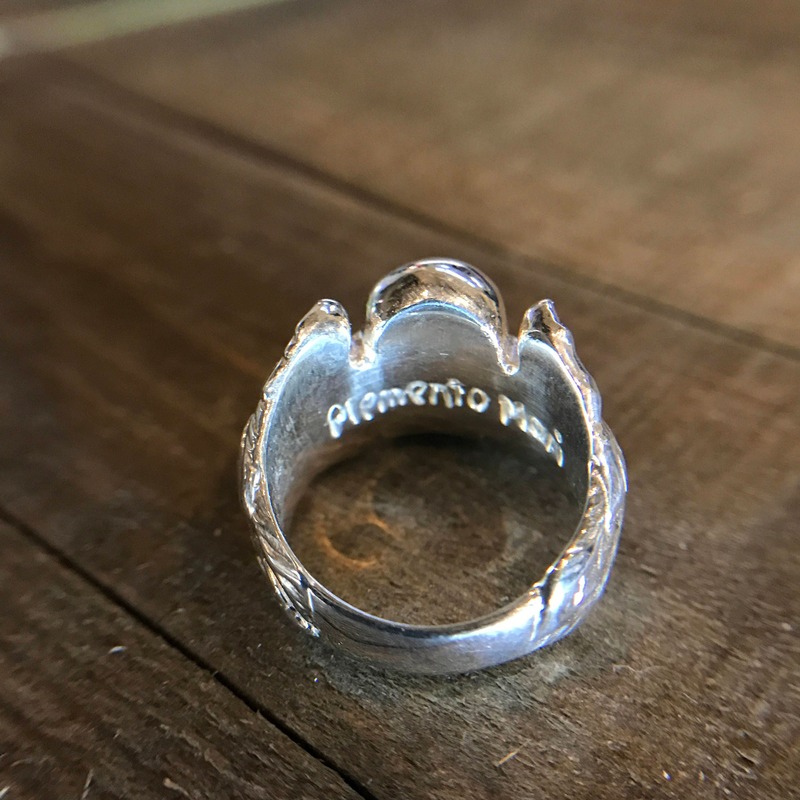 The ring is inscribed inside the band with "Memento Mori", meaning "remember that you have to die"
Wear this ring to remind yourself to live life to the fullest. -A note about oxidization, It is kind of like tie-dye, each oxidization is a little different from the other! It is a chemical reaction on the silver. Oxidization will fade over time and pieces can always be re-oxidized! 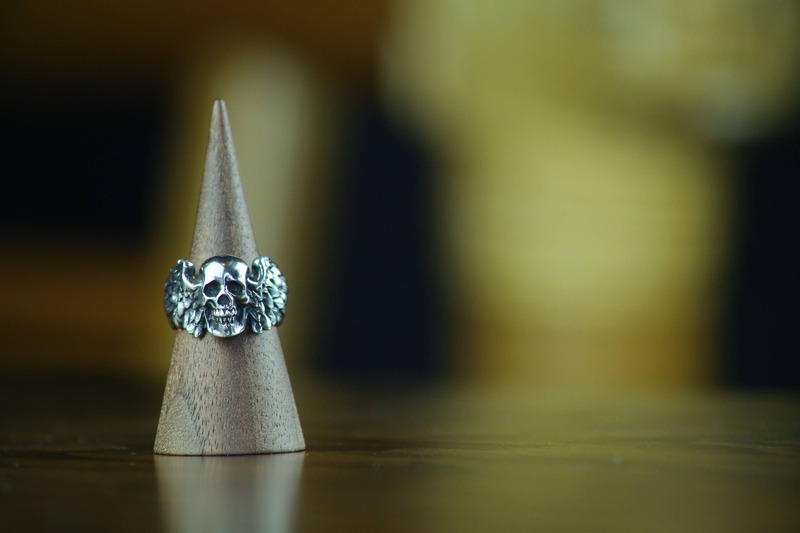 The ring was designed by me, inspired by gravestone symbolism. Sculpted by Hiroyuki Shambles in Japan, and cast by a local casting company here in Los Angeles, CA. 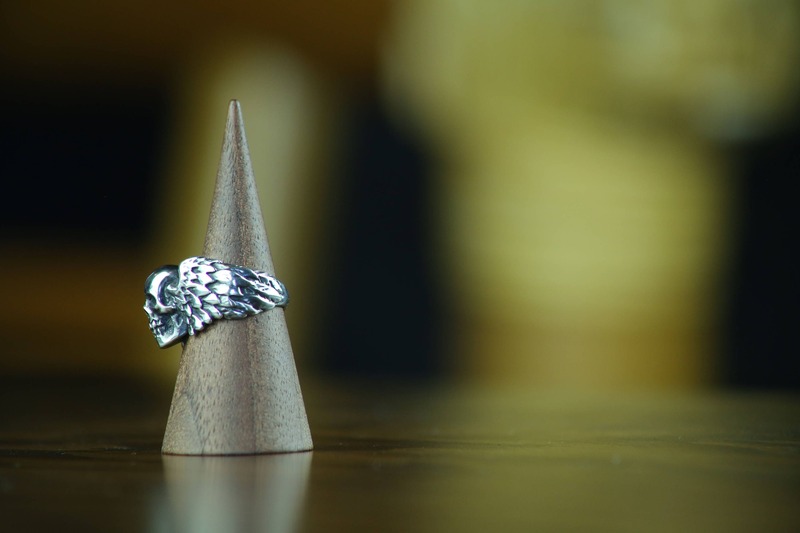 The ring is offered in 2 finishes, polished sterling silver, or oxidized sterling silver. 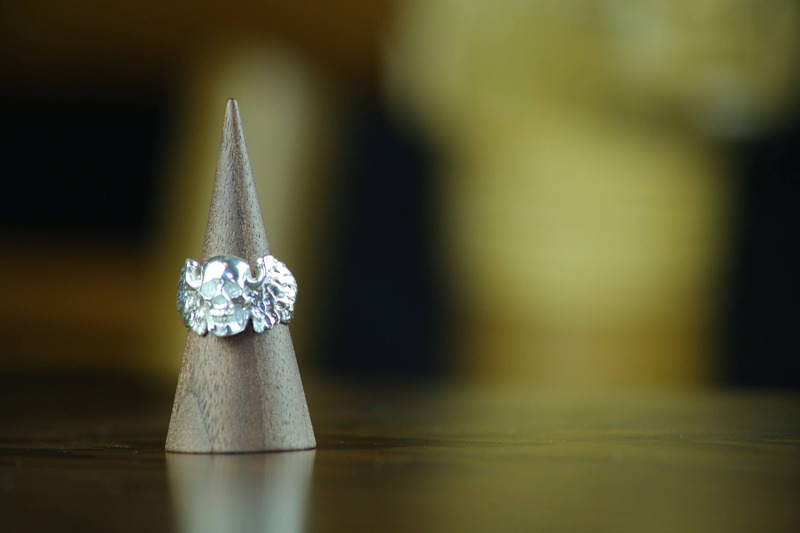 Personally I prefer the Oxidized as it shows all of the details off in the ring, but the choice is yours! Specifically designed to be unisex. To find out your ring size google "Ring size ruler" and measure the finger you would like to wear the ring on with a piece of string! Sterling silver has very minimal upkeep! Just wet with water and wipe with a soft cloth. Because the rings are made to order just for you It could take 1-4 weeks for your order to arrive, please keep this in mind when ordering. Shipped in a gift box (pictured). Keep in mind this piece is made JUST FOR YOU. After your order is placed no refunds will be accepted so please order carefully and triple check your ring size!. 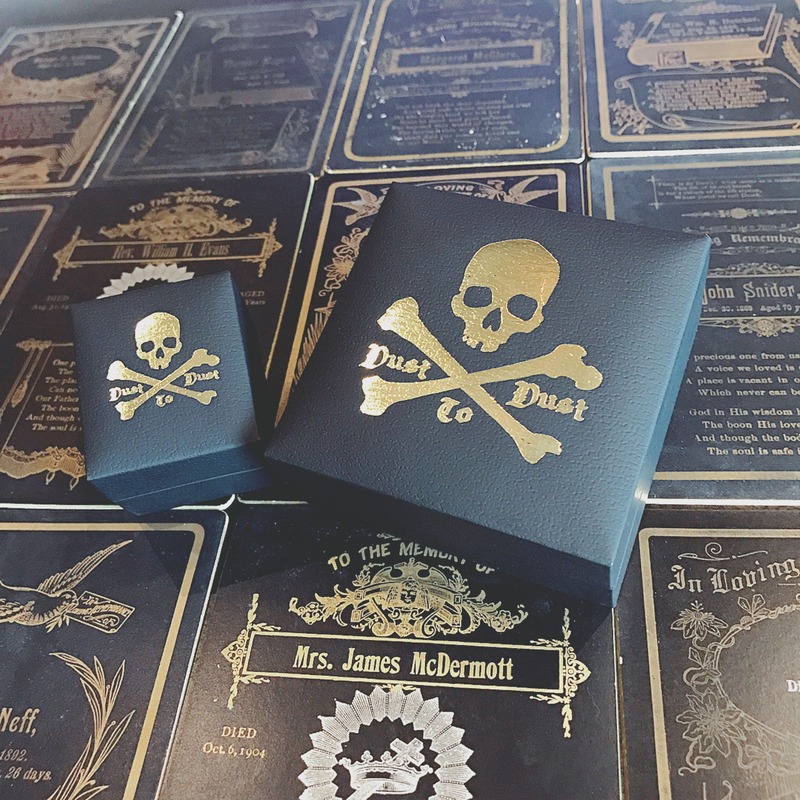 Please make the shipping address an address that is safe and that you trust, I am not responsible if your order get stolen or goes missing after it leaves my studio.